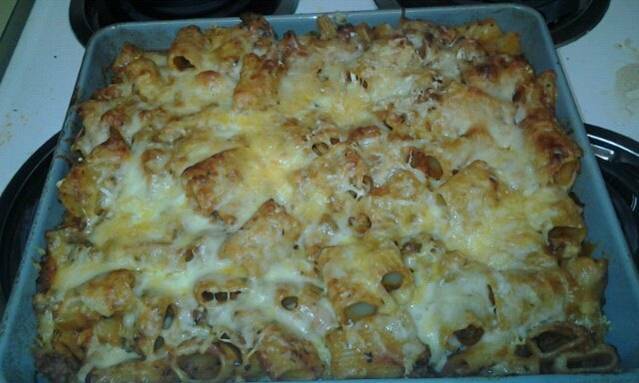 This month’s free recipe from my cookbook, “Simple, Healthy, Fresh 1.0“, is Baked Rigatoni. You may be thinking that pasta, cheese and sauce is off your list because you have health issues as I do. You may be diabetic, have blood pressure or heart issues, you may be trying to lose weight or keep it off, are low-sodium. Good news, you can still have fun, delicious pasta dishes! It’s all in how you make it and how you eat it. Use the hints and tips in my cookbook, read the book introduction and chapter forwards. As in this recipe, the tips below will help. And, I’ve been salt-free for over twenty years and do not miss it. I feel healthier, I don’t bloat and not as thirsty these days: all bad side effects from salt. This dish would serve 4-8 people, depending on side dishes, if it’s a main or side. I would serve with a large, crispy, crunchy three-leaf salad, Italian green beans, a tomato and cheese side and maybe a snow pea and celery side dish. Now on to the spices. This month’s spice is actually two spices: Marjoram and Savory! I use these spices when I want to create a warm, home made taste, with that savory, earthy flavor. they are great in soups, stews, pastas, tomato-based dishes as well. My favorite spice maker is Spice Islands Spices! (No, I do not get paid nor endorsed in any way). Find new ways to not use salt and incorporate more herbs and spices into your dishes. •Use low-fat ricotta, low-fat cottage cheese and low-fat cheddar/mozzarella plus a low-carb or gluten-free pasta. Any favorite low-carb vegetables, such as Mushrooms, broccoli, bell pepper, etc. Spices: 2 tsp ea. BOT, 1 tsp marjoram and and savory, dash cayenne, red pepper flakes and white pepper. Boil rigatoni in salt-free water. Mix the ricotta, cottage cheese and 1/2 the mozzarella and sharp chedder, spices plus any vegetables you wish. After pasta is done (al dente) and shaken dry, add the mixed cheeses and place in oiled or sprayed baking dish or pan. Sprinkle the remaining mozzarella and cheddar over the top. Bake at 350 for 30-45 mins until cheese is bubbly and brown. Serve with large crispy salad with black or kalamata olives, cherry or pear tomatoes and feta cheese. I do not know if it’s just me or if perhaps everyone else encountering issues with your site. It seems like some of the written text on your posts are running off the screen. Can somebody else please comment and let me know if this is happening to them too? This may be a issue with my internet browser because I’ve had this happen previously. Thank you and welcome to the website. I’d be interested to know what group it was that referred you, glad they did!